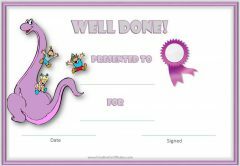 Free printable award certificates for kids. 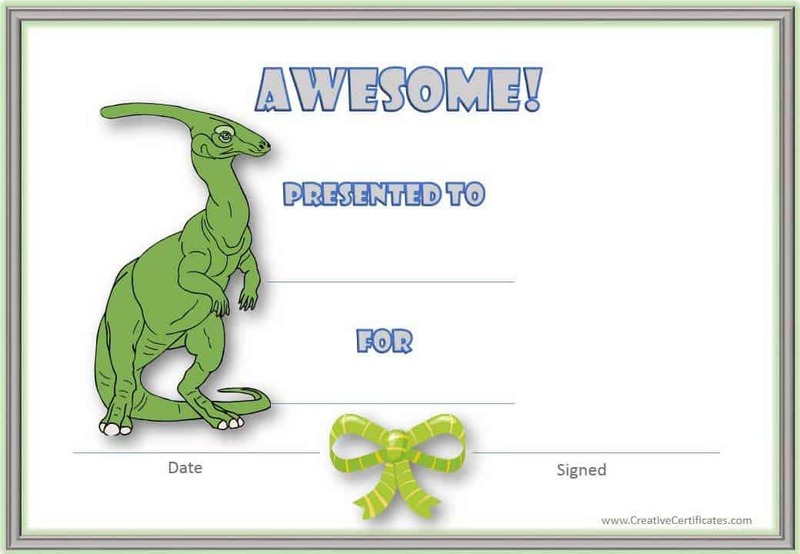 These children’s certificates are perfect for teachers and parents. They can be used at home, in school, for sports achievements or for any other reason or occasion. We offer hundreds of different printable certificates that are free to download and print. No need to register and no limit. You can also use our certificate maker to make your own free customized certificates with photos of the kids. If you do not find the specific certificate that you are looking for then you can just use a certificate template and customize it to meet your needs. If you want a specific certificate that you don’t find here then please feel free to contact us or comment below. We will make the certificate that you are looking for free of charge! A selection of awards for achievement or participation in sports. Tooth fairy certificate, letter and receipts. 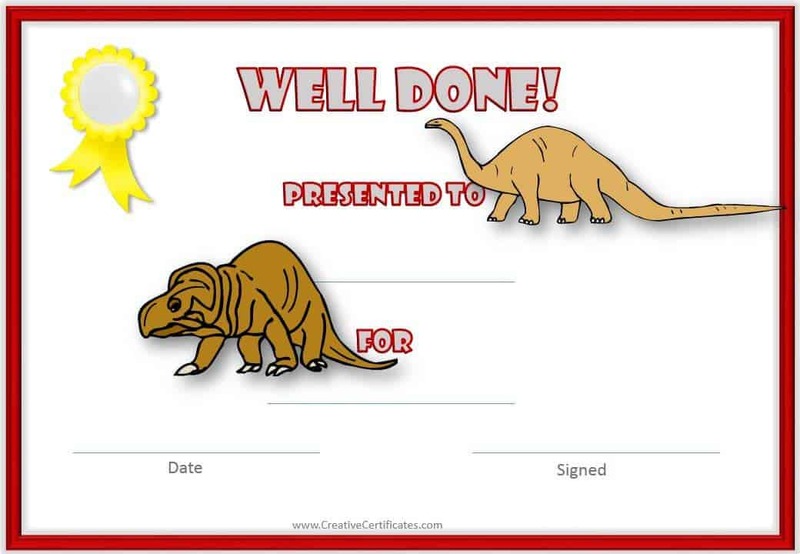 A selection of certificate templates for teachers, students and parents. Let mom know how special she is. Let dad know how special he is. Give to students on the first day of school. You can also add their photo. Use for a spelling bee or for spelling competitions or tests at school. Good behavior certificates with or without a photo. We also have a British version for Good Behaviour. Attendance award certificates for perfect attendance and other classroom awards. Select a certificate template from this page or from any other page on this site. Edit the text and add a photo if you want one. Download the certificate and/or print. Children love to be praised and awarded. They strive to impress others and are thrilled when their achievements are noticed and recognized. Recognition comes in many forms. Children can be praised, receive certificates or even gifts. Praise is something that should always be given but it doesn’t last forever. Children also love tangible forms of recognition. If you buy children a gift or award each time they do something deserving you might land up having to deal with other behavioral issues. Firstly, they start expecting to receive a present every time they do something worthy. Secondly, when things come too easily they stop appreciating things. Award certificates are perfect solutions. They are a great tangible and symbolic way to say “Well done! You have done a great job! Keep it up!”. What are the advantages of certificates for kids? Remind you to praise kids. What can these award certificates be used for? If your little superhero has successfully completed a mission of his own (like tidying his room all week, being very kind to his brother or sharing with a friend) then why not give him a Superman, Spiderman or Batman certificate! 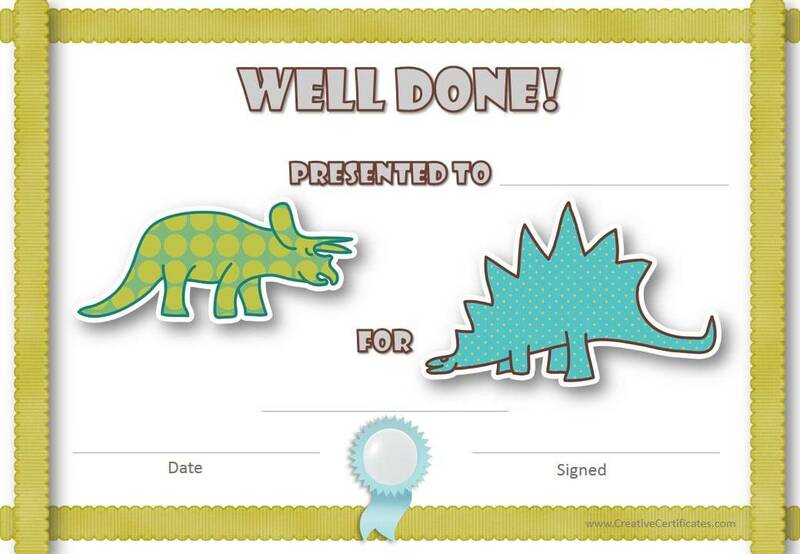 The following free printable dinosaur certificate templates can be customized before you print them. 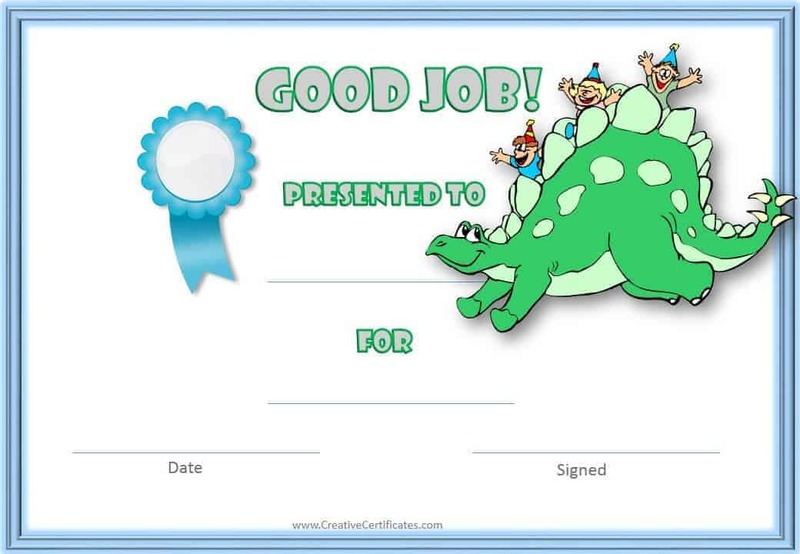 Add the child’s name, the reason he or she is getting this award, the date and signature. There are a few different templates to choose from. You can either print the certificate and add the details in your handwriting (by clicking on the image) or open up the PDF version which can be customized before you print it (by clicking on the text “customizable version” beneath the image). 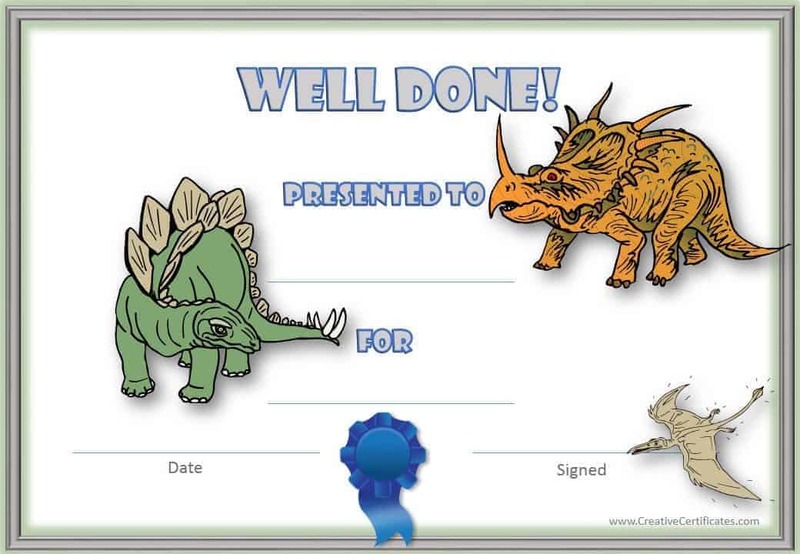 These printable certificates were requested by Carolina, a teacher from Uruguay, who asked us to make her certificates with dinosaurs. If you are looking for specific certificates that you don’t find on this site then please leave a comment and we will try to help you too! You can add a photo of the child to the certificate. You can also add more dinosaur clipart. To add clipart or photos click on the image icon.